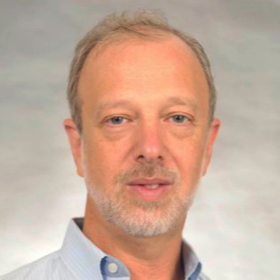 Gustavo E. Fischman is professor in educational policy and director of edXchangethe knowledge mobilization initiative at the Mary Lou Fulton Teachers College, Arizona State University. His areas of specialization are comparative education and critical policy and gender studies in education. He is currently leading two research projects. The first analyzes knowledge mobilization strategies of graduate schools of education. Specifically, this project explores the processes of knowledge-exchanges between academic centers and relevant stakeholders such as other scholars, educators, administrators, policymakers, and the general public. The second project focuses on understanding and strengthening the quality, impact and reach of open access publishing in scholarly communication in Latin America. Fischman, G. E. & Diaz, V. D. (2013) Education without Redemption: Ten Reflections about the Relevance of the Freirean Legacy, Interamerican Journal of Education for Democracy 4 (2) pp. 70-87. Fischman, G. E. & Haas, E. (2012) Beyond “idealized” citizenship education: Embodied cognition, metaphors and democracy. Review of Research in Education (RRE), Volume 36: Education, Democracy and the Public Good,pp 190-217.